Link (Chris Carmack) finally gets the chance to bond with Meredith (Ellen Pompeo) in “Grey’s Anatomy” season 15 episode 10 as their love triangle including DeLuca (Giacomo Gianniotti) intensifies. Meanwhile, Owen (Kevin McKidd) will have one of his worst days at work as he gets paralyzed before a medical operation. Since the current season started, Meredith has been on the quest of finding love and it now boiled down to this love triangle with a long-time colleague and an attractive newcomer. 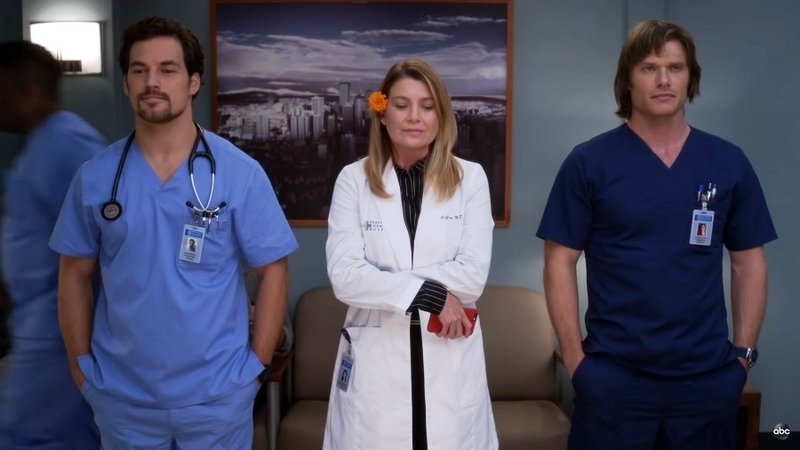 DeLuca did gain some points after being trapped with Mer in the elevator, but “Grey’s Anatomy” season 15 episode 10 might give Link the chance to catch up. However, the official synopsis for “Grey’s Anatomy” season 15 episode 10 suggests that Link might be starting on a wrong note. Mer and Link are going to work together on a patient but the latter’s “laid-back approach” will not sit well with her. Mer is getting teased about being caught up in a love triangle in the “Grey’s Anatomy” season 15 episode 10 preview but she tries to downplay it. Then, the promo video shows a scene where she seems to be confronting Link. But the ortho surgeon does not look bothered and attempts to make Meredith laugh. DeLuca, on the other hand, will spend much of his time in “Grey’s Anatomy” season 15 episode 10 inside the operation room. He will be obliged to take over the procedure following Owen's misfortune. The “Grey’s Anatomy” season 15 episode 10 preview shows Owen announcing to the team that he is injected with something that will make him paralyzed in 30 seconds. Right on cue, he drops to the floor and that’s the signal for DeLuca to lead the surgery. Owen might be very distracted that leads to getting accidentally paralyzed. His ex-girlfriend Teddy (Kim Raver) is pregnant and the news came right when he is re-establishing his relationship with Amelia (Caterina Scorsone). “Grey’s Anatomy” season 15 episode 10 will air on Thursday, Jan. 24 at 8 p.m. ET on ABC.